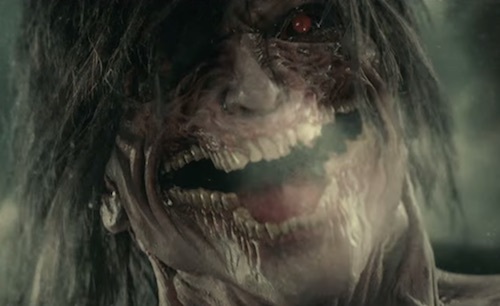 Attack on Titan is a glorious train wreck of a movie. To say it’s a disjointed mess is too simple of a description. It’s a story-less collection of set pieces that only fans who are familiar with the show can piece together. Except they’ll be scratching their heads most of the time because they are probably too confused as to what in the hell they are watching. First off, it’s naive to complain about a movie making changing from the source material. That’s an automatic given. To be able to transfer the elements from one medium into another, changes have to be made. What works for a TV show, won’t work in a movie. What works in a movie can’t work in a cartoon. Changes to help assist the transition from one medium into another are necessary in order to help the story sustain itself in its new format. 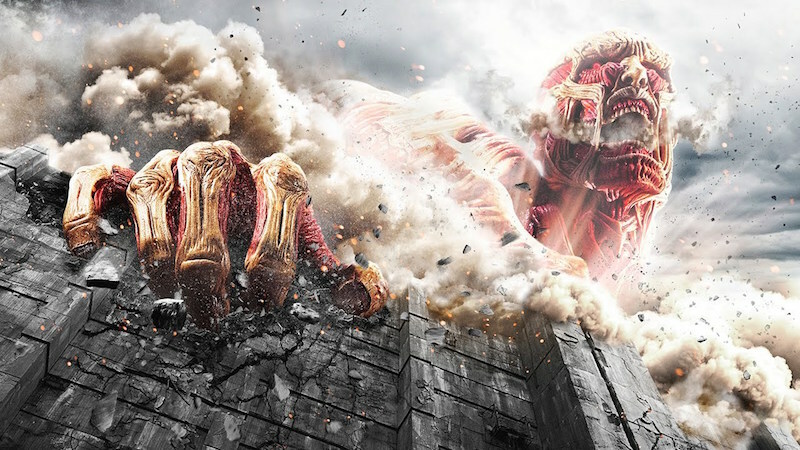 So what happened with Attack on Titan? Movies are about characters, and the struggles they go through in order to reach their goals, and through that we find the story. Let’s take Sharknado for example. As simple of a movie as that was, Ian Ziering’s main goal was to rescue the woman he loved, and then make sure she was safe. That’s a character driven goal we can all understand and get behind. The main character of Attack on Titan, Eren, was wandering around aimlessly with no real objective in mind. He was moved around like a pawn around the movie because that’s what the current scene called for. After the Titans attack his hometown he is instantly transported into the squads one scene later because that’s what happened in the show. But if you weren’t familiar with the show the change would be jarring, confusing, and pointless. The same could be said about other characters in the movie. None of them seemed to have any clear goals other than kill the Titans. But that’s not enough for a story. 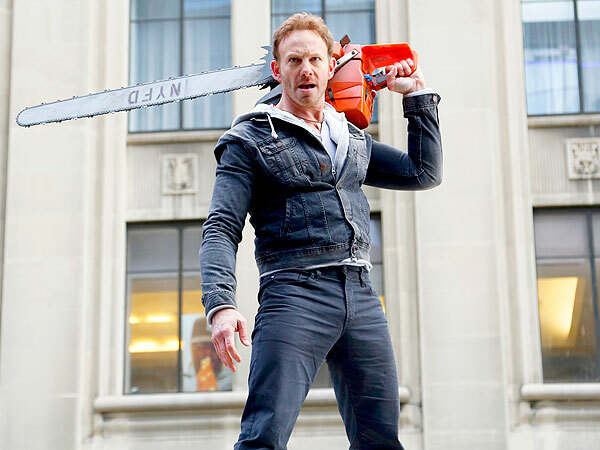 Let’s go back to Sharknado. The main story point wasn’t about killing Sharks, it was about protecting the ones you loved and making sure no harm came to them. 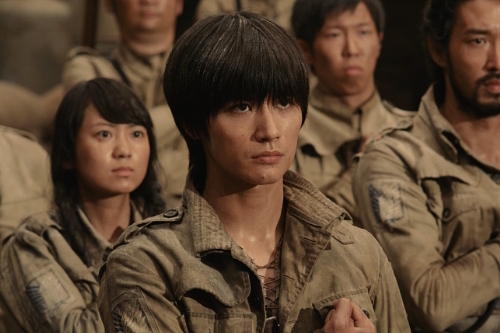 Attack on Titan lacked these basic character goals. At one point the movie seemed to find a clear objective, which was to find the explosive (for whatever reason they needed them for). But then the explosives turn out to NOT be that important to the overall movie, so we’re back to square one. What is this movie about? It’s a soulless, characterless driven collection of set pieces that do nothing but perform fan services, while spitting in our eyes at the same time. 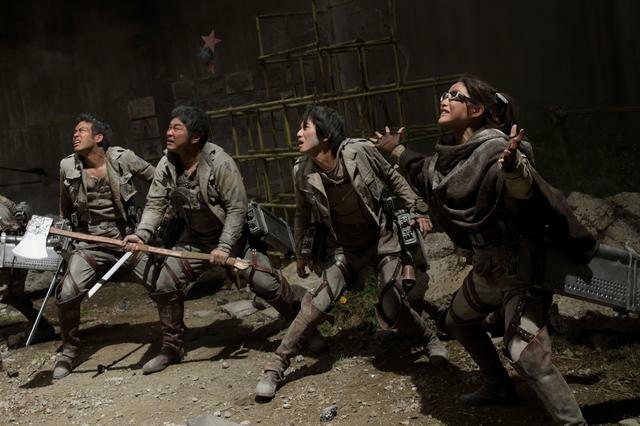 The world of Attack of Titan. One amazing thing about the show was the sense of scale of this self contained world. It was vast! And the sense of destruction could be felt for miles and miles. 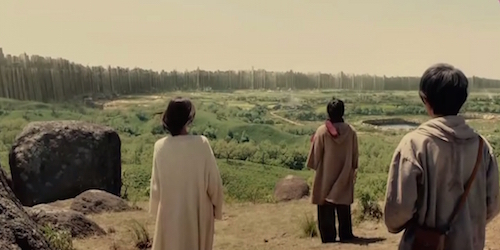 However the movie never really gave us a proper sense of how big this self contained world was. Even the way it was edited together never really gave me the sense that the destruction stretched out beyond a few city blocks. Was this the end of humanity? Or just these one section of the city? The movie never really tells us because it relies on the knowledge you bring from the show. 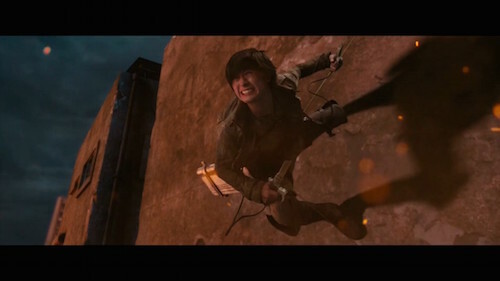 One of the cool things of AOT was the 3D maneuver gear; a Spider-Man style manner of swinging around through the city. This was kept in the movie, except it looks bad. Real bad. As a movie going audience, we’ve been spoiled by high budget visual effects movies, and the near perfection we expect from it. However we are willing to bend if it falls in line with the style of the movie. And if this was a smaller movie then we could forgive them. But this wasn’t meant to be a small movie. This was Attack on Titan. And the maneuvering system is a key element that never felt exciting or thrilling in the live action version. It just looks fake. And after sitting through 45 minutes of this train wreck of a movie you were hoping for something cool to show up. But unfortunately it’s just another disappointment. And that’s what gets me most. I don’t hate this movie. I’m just dumbfounded by how poorly executed it was. From the stiff acting, to the non-sensical plot, to the silly looking Titans (which actually made the audience laugh out loud at some points), this movie was cobbled together on the fly in the hopes to grab some cash from the fans. Eh, just wait for Season 2 to come out next year. You’ll be happier that way.